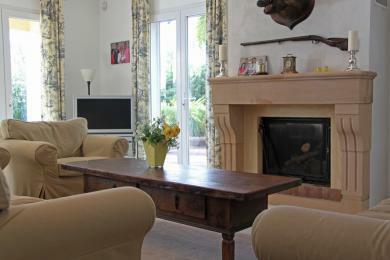 Luxury holiday villas in St. Raphael. Luxury detached villa with private pool in Saint Raphaël, Cote d'Azur. The villa is located within walking distance of the beach. In the immediate vicinity of the villa you will find countless of restaurants. From the terrace you have a view of the Mediterranean and Ile d'Or. The villa sleeps up to 8 guests. Comfortable apartment on the golf course of Valescure in St. Raphael, Côte d'Azur. From the terrace (upper floor) you have a magnificent view of the golf course towards the mountains. Ideal for golf lovers. The apartment sleeps 4.